, organizations across the world are further distributing their teams for productivity, efficiency, and convenience. And as the great Uncle Ben once said, with great power comes great responsibility. At Dribbble, we’re proud of our fully distributed team: 40+ employees spanning four countries and three continents. 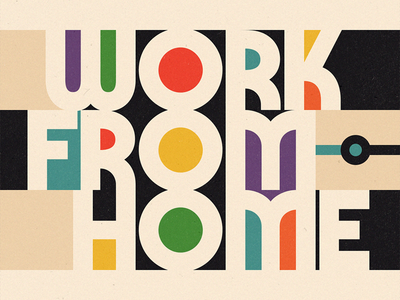 To celebrate Global Work From Home Day, we thought we’d share a few of our very own tips for WFH success. 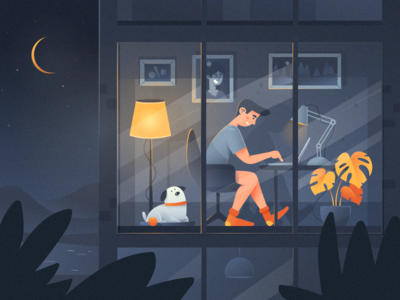 Whether you work from home and are looking for new ways to boost your productivity, or you’re curious about what it’s like working from home, our team has a ton of insight to share! Row 1: Adheedhan Ravikumar, Louie Mantia, Anna Ptasińska. Make a space that’s yours where you can get your best work done without interruption. A couple summers ago, my buddy Chris and I formed walls out of 2x4’s, ran electrical, stuffed insulation, drywalled, and built an office in my garage. I was then gifted a mid-century Knoll desk and I refinished it. I filled a bookshelf with inspiring books, a record player, a stack of vinyl, and then hung artwork and a half dozen guitars on the wall. I keep a Gibson SG electric guitar and a Vox stacked amplifier at arms length. Around 2:00 pm every day I like to turn it up real loud and let off some steam. I love my home office and believe that having a highly personalized space helps keep me inspired and in the zone. Never underestimate the power of switching up your workspace once in a while to maximize your productivity. I find I like to start my morning in my office to do heads down, focused work—but I like to mix it up in the afternoon and often work from the deck to get some vitamin D and a change of scenery! Find a productivity system that works for you. Whether it’s the Pomodoro Method, journaling your day, or timeboxing, get your calendar under control so you can find accomplishment each day. Set semi-strict working hours. Even though your schedule is more flexible when working from home, it’s easy to overdo it or “underdo” it. Give yourself time to separate work and play. Row 1: 𝐌𝐚𝐭𝐭 𝐁𝐫𝐨𝐰𝐧, Vansay Vivanh, alexandrov alexandr for Fireart Studio. Working from home can get lonely, and dogs are the best company. Not only does my dog give me someone to talk to on ‘no-meeting’ days, but he’s also a great excuse to get up and go for a walk on days when I’m definitely lacking fresh air and sunshine. Get ready like you’re going to an office in the morning. Shower, get dressed, and put on a great outfit. Do this for two reasons. 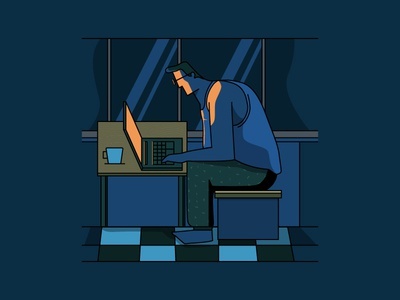 1) You’ll feel ready to tackle the day like a boss instead of slogging through the day in pajamas, and 2) You never know when you’ll have to walk away from your computer during a video call. I’d recommend having your own dedicated space in your house for your work. Regardless of if it’s a desk in a living room or your own office, it’s important to have a sacred space that is fully reserved for work. For instance, when I start work in the morning, I go into my office. When I leave my office at the end of the day, I leave work behind (and turn off Slack). Not only does that help me with focus and productivity, but it also helps me maintain a positive work-life balance. It also helps to have delicious food/snacks in your space to keep you in the zone as much as possible. There are several reasons for this, but the biggest is that it creates a clear separation between my home life and my work life. Having that separate physical space helps me get in the right mindset. This is also helpful for me in particular because my kids are homeschooled a few days a week. 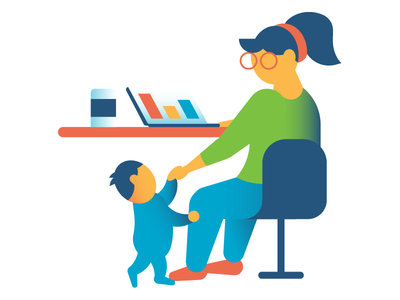 If you have kids or need to be around other creatives, try to find a co-working space outside of your house and see how that helps increase your productivity. 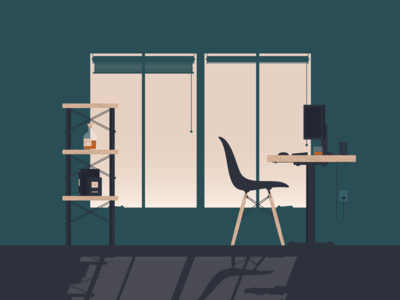 I share my office space with a few other creatives, and having them there really helps battle a lot of the loneliness that can come with working from home. Even though no one else here works at Dribbble, we’re able to have “water cooler” chats about movies or sports, go to lunch together, etc. Want to learn more about remote work or working within a distributed team? 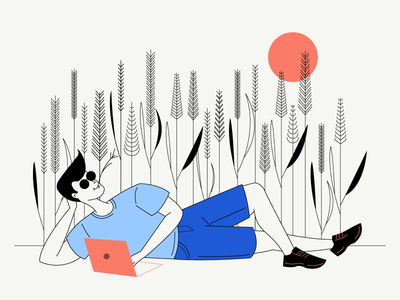 Read about Remote Team Building, Building a cohesive remote culture, and Lessons learned from scaling a distributed team.